BLUE DOGWOOD WILL OPEN IN 2 PHASES. 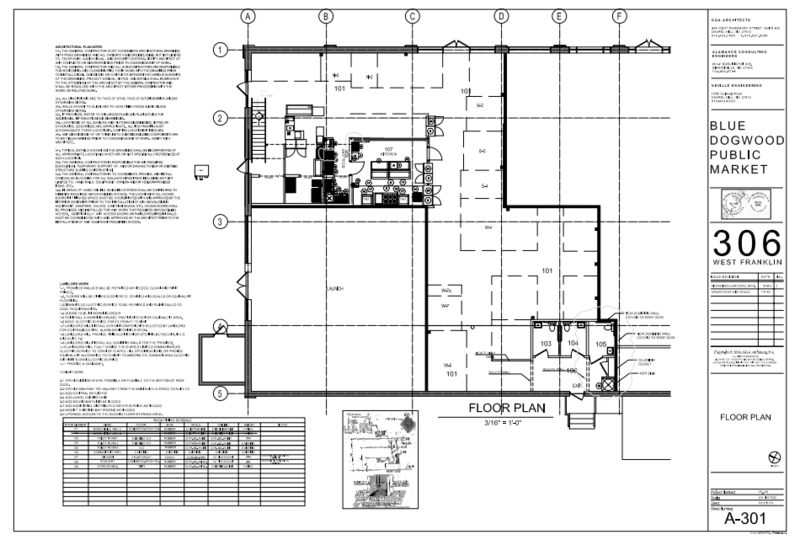 Our floor plan is a work-in-progress and will change. The Market will be equipped with rental spaces from 8x8' to 8x12'. Rental spaces will be either "dry" or "wet" (with a hand wash sink). A rentable kitchen is available for small-batch production and food demonstrations. The OBG will be pouring with limited hours from Thursday - Sunday. We are renovating our back parking lot and building an elevated deck and a beer shed for beer nights and special food nights. The OBG will feature rotating draft beers and ciders from local NC breweries. The OBG will be available to rent for parties, weddings, and other private functions. When renting out The OBG, customers will have a choice of market caterers (or multiple market caterers).